The chef laughed in disbelief. “You’ve got to prove it,” the chef told him. The next day Nassetta cooked a giant batch of his grandmother’s recipe: a spicy red sauce and Italian sausage over penne pasta. About 70 to 100 wait and kitchen staff tried out the executive’s dish. 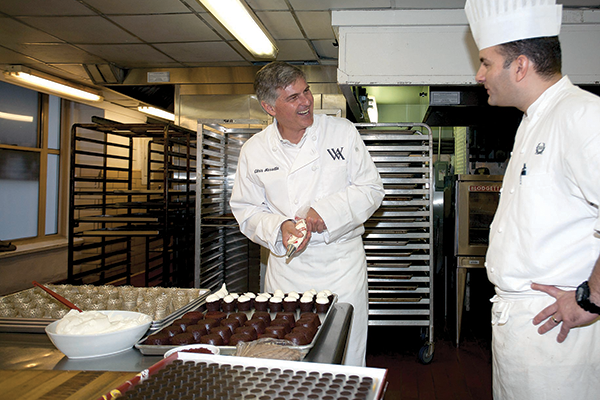 The meal capped Nassetta’s annual “immersion,” a program that requires Hilton’s top corporate staff to spend three to five days working at one of the company’s properties around the world. The experience gives them a behind-the-scenes tutorial on the operations of a hotel. As part of the drill, executives exchange corporate suits for hotel uniforms and are given tasks ranging from cleaning toilets to sorting massive mounds of towels and washcloths. The immersion program is one small piece of the company’s cultural revolution that Nassetta shaped after taking the helm in 2007 following the acquisition of Hilton by a private-equity titan, the Blackstone Group, for $26 billion. 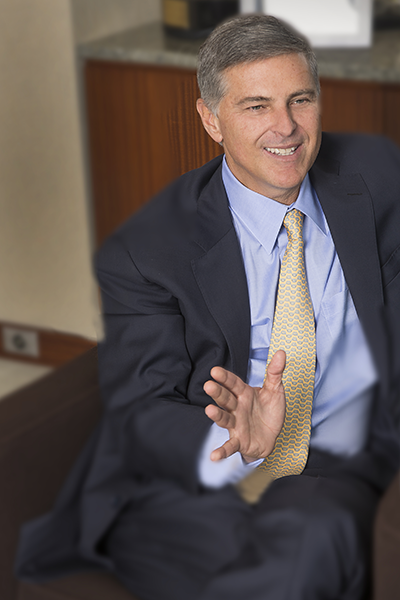 Since taking the reins, Nassetta executed his plan to re-energize Hilton’s iconic brand. Out of the depths of the Great Recession, he has streamlined operations, expanded the company’s international footprint, moved its headquarters from California to McLean and transformed Hilton into the largest hotelier in the world. The capstone to this successful trajectory came in December 2013 when the company went public. The initial public offering netted $2.35 billion, a record amount for a lodging company. It was the second-largest IPO in the country that year and one of the 25 largest ever in the U.S. Because of his reformation of Hilton, Virginia Business has named Nassetta its 2014 Business Person of the Year. Nassetta’s introduction to the hotel industry began as a teen who plunged toilets while working in the engineering department of the Holiday Inn Capitol in Washington, D.C.
After graduating from the University of Virginia, he began working for real estate developer Oliver Carr, helping to oversee the renovation of the venerable Willard Hotel in Washington, D.C. When real estate executive Terry Golden was brought in to restructure Oliver Carr in 1989 during a real estate downturn, he found himself working with the 26-year-old Nassetta more often than older, more senior executives. Eighteen months later, Golden and Nassetta left Oliver Carr to start Bailey Capital Corp., a private-equity group that specialized in helping investors take advantage of the real estate dislocation following the savings and loans crisis of the late 1980s and early 1990s. In 1995, Golden and Nassetta were recruited for executive positions at Host Marriott, the real estate business that was left after Marriott International was spun off from Marriott Corp. Host Marriott, which later changed its name to Host Hotels & Resorts, was a $2 billion company with too much debt and high tax liabilities. “Long story short, we fixed those things and turned it into a world-class company,” says Nassetta. In 2000, at age 37, Nassetta became CEO at Host Hotels when Golden retired. By the time he left for Hilton seven years later, Host had become a Fortune 500 and S&P 500 company. “I think if you’re looking at a theme for Chris Nassetta, that would be that he’d be the first person you’d call if you’re trying to do a turnaround and not only develop a company into a profitable company, but a well-managed enterprise where people are happy to be,” says Golden. Blackstone’s Gray saw this, too. He had worked with Nassetta on deals at Bailey and at Host when Blackstone sold a hotel portfolio to Host. “All of these interactions led to greater and greater respect for Chris’ abilities,” says Gray. He also had lived in Virginia his whole life, growing up in Arlington and attending U.Va. Hilton’s headquarters were far away, located in the posh shopping district of Rodeo Drive in Beverly Hills. But the more Gray spoke about his vision for a revitalized Hilton, the more Nassetta realized Hilton presented a once-in-a-lifetime opportunity. Conrad Hilton founded the company with the first Hilton opening in Dallas in 1919. In what other job could he take an iconic American brand that had become stagnant and restore its status as an industry leader? He sat down with his wife to discuss the move. His wife ultimately pushed him to accept the job, saying the opportunity was too good to pass up. Without knowing they would be leaving for only two years, Nassetta accepted the position and moved his family across the country to Beverly Hills. In California, Nassetta ran head on into some major challenges. The company’s corporate offices around the world didn’t share a common mission and strategy, and its culture was in need of an overhaul. “The opportunity when we came here was to sort of re-energize this place and take it from being what was sort of an average performer … and help it reclaim its leadership spot in the business,” says Nassetta. This higher purpose, as Nassetta describes it, is what drove him during the darkest times of the company’s transition. By 2009, two years after Blackstone bought Hilton, the deal was threatening to become a bust. Blackstone bought Hilton at the peak of the real estate bubble. It had invested $5.6 billion in cash in the deal and borrowed the rest. Soon after, the economy started to sputter, and the deal began to look shaky. Tourism spending sank along with the economy, and Hilton’s revenues dropped 15 percent in 2009. The company was forced to work with its 26 creditors to renegotiate $20 billion in debt, a deal that forced Blackstone to invest another $819 million into the company. Adding to the misery, Starwood Hotels & Resorts Worldwide sued Hilton in April 2009. The suit alleged that two former executives who went to work for Hilton had stolen confidential corporate documents describing a lifestyle hotel Starwood planned to launch. 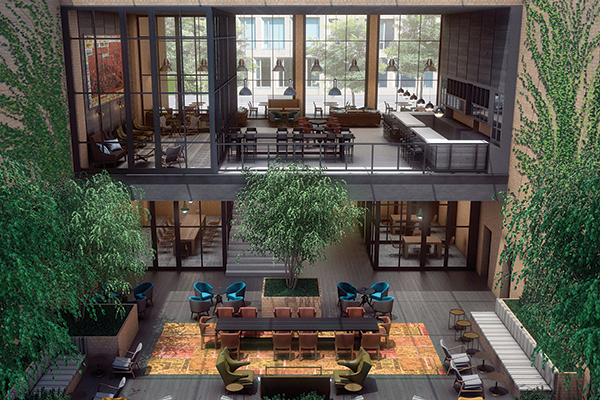 Lifestyle brands are smaller hotels featuring a neighborhood’s flair. Starwood accused the executives of using their information to help Hilton create a lifestyle brand that would have competed against Starwood. Hilton eventually settled the lawsuit for $75 million in December 2010. The company also was subject to an injunction prohibiting it from opening a lifestyle hotel for two years. While the lawsuit was underway, Hilton also was dealing with the monumental task of moving its headquarters across the country. In January 2009, the company announced it would move to McLean, settling in a building next to one of its hotels. The Beverly Hills location had been problematic for a variety of reasons. The site was far from major airports, in an expensive place to live, and its Pacific time zone made it difficult for Hilton to operate efficiently. Los Angeles also wasn’t a “hot bed for hospitality talent,” says Nassetta. So Nassetta and his team decided on the move to Fairfax County, bringing 130 employees out of a headquarters staff of 800. Nassetta describes the decision as the toughest of his career, but he also considers it one of the best he ever made. Authority, who worked with Hilton on finding a location in McLean. On the downside, Nassetta acknowledges that Hilton lost a lot of its knowledge base. It was taking twice the time for employees to complete certain tasks, and Hilton was forced to make quick hiring decisions that didn’t always work out. Now a year after the IPO (which netted Blackstone a paper profit of at the time $8.5 billion), Hilton has emerged a transformed company and in many ways is cementing its status as industry leader. For the first three quarters of 2014, revenue was up 8 percent to $7.67 billion, while profit grew 32 percent to $515 million. The company is growing through franchises and management agreements of its brands, a low-risk, “capital-light” strategy that develops the brand without major investment or risk. Hilton’s international growth also has exploded. It has the largest number of hotel rooms in the U.S. and world, and more hotel rooms under construction and in its pipeline than any other hospitality company. The company, which employs more than 319,000 people, has more than 694,000 hotel rooms in more than 4,200 hotels in 93 countries. Meanwhile, the number of customers in Hilton HHonors Members — the company’s loyalty rewards program — has doubled to 42 million. Hilton’s reformation has been a good transition for hotel owners as well. “Hilton has been more open to suggestions from developers, and the partnership between franchisees and the company has never been stronger,” Neil Amin, CEO of Shamin Hotels in Chester, says in an email. Shamin has 23 Hilton-branded hotels and has been a franchisee since 1993. “Hilton is flexible where they need to be and stringent on areas that are key to the integrity of its brands,” says Amin. In addition, as part of its strategy to reach every customer, Hilton has launched three new brands since 2007, bringing its total to 12. That includes its most recent innovation, Canopy, Hilton’s long-awaited lifestyle hotel. It’s scheduled to be rolled out in 11 hotels. Hilton is also leading the industry in revolutionizing technology. By the end of this year, visitors to its hotels around the world will be able to check in and out from phones, tablets and computers, choose their room from a digital floor plan and purchase and request special upgrades through the HHonors program. The company also made a splash in October with the sale of the Waldorf Astoria New York to a Chinese firm for $2 billion. The strategic move, says an analyst who covers the company, allows Hilton to avoid paying for an estimated $300 million to $500 million in renovations that are needed. Plus the company will be able to save capital for paying down its debt while still maintaining management of the property for 100 years. Hilton says it will use the proceeds to purchase other hotels in the U.S., in order to avoid taxes on the sale. 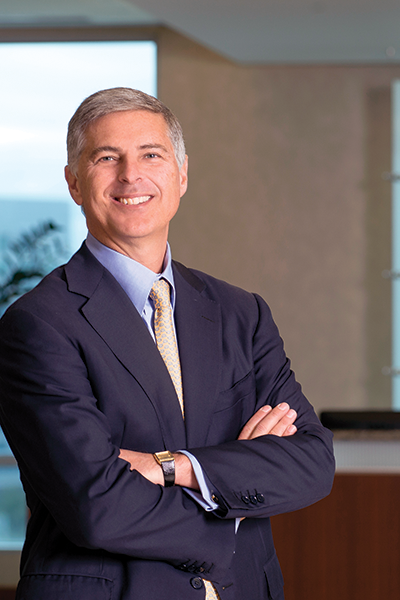 After leading Hilton’s transformation, Nassetta’s job description has changed. The challenge now, he says, is maintaining the revolution in company culture by keeping employees focused on its mission. What has been key to Hilton’s success is Nassetta’s “steady hand at the wheel,” says Jacobs. Despite his long list of successes, Nassetta has stayed grounded, colleagues say. He’s engaged with his employees, whether he’s speaking to hotel staff or a corporate executive. Around the office he shows interest in employees and their lives. People enjoy being around him, colleagues say. “He was just fun to work with. Everybody got a nickname,” says Golden, his longtime friend and business partner.